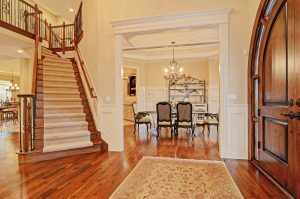 Stair Parts – Kirsch Millwork Builders Supply Inc. When your new building project involves stairways, it’s important to source your materials from a provider with an excellent eye for quality and style. A stairway often serves as a major focal point in a room and deserves the best treatment, using high quality parts that look great and are sturdy, reliable and built for the ages. 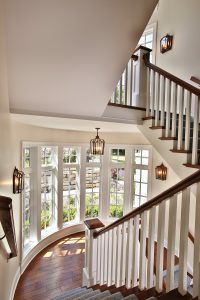 Safety, durability, eye appeal and affordability are the major benefits we provide when you choose Kirsch Millwork to fill your stair parts needs. Are you an architect or a builder with special stair parts requirements? Or perhaps you are a homeowner or a business owner in the midst of a renovation project that involves adding or replacing stairs. In any case, our team is here to help you with handrails, fittings, treads, risers, accessories and other parts in a wide array of options. You don’t want to trust one of the most important parts of your residence or commercial building project with stair parts that fail to meet your criteria for strength and aesthetics. The stairs must serve your building’s requirements in terms of appearance as well as usefulness. Our team can help you make the optimal selection to stay in budget while also adhering to the overall desired look of the project. For details, please feel free to contact Kirsch Millwork today.